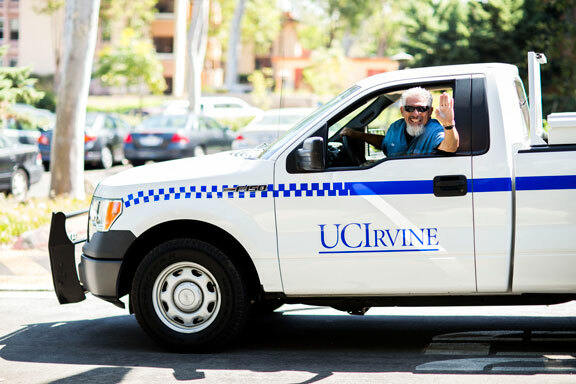 UCI Transportation is responsible for infrastructure enhancements at signalized intersections and works with the community to ensure safe and efficient travel on campus roadways. Audible pedestrian push buttons for the visually impaired. Transportation and Distribution Services conducts monthly inspections of traffic signals which, along with preventative maintenance, facilitates their safe and efficient operation and minimizes traffic delays. UCI Transportation partners with external contractors to perform the maintenance.